It was out on the 28th of May 2018 and is available here. Excerpt printed in Lightspeed Magazine here. Not Dark Yet is my novel. It was released by Two Dollar Radio in November 2015. More reviews, lists, and interviews about Not Dark Yet here. To navigate this site, click on the symbol in the upper right corner. Berit Ellingsen’s novel Not Dark Yet was published by Two Dollar Radio in November 2015. She is the author of the short story collections Beneath the Liquid Skin and Vessel & Solsvart, and the novel Une Ville Vide (PublieMonde). Her work has appeared in W.W. Norton’s Flash Fiction International, SmokeLong Quarterly, Unstuck, Litro, Up Here – The North at the Center of the World, and other places, and been nominated for the Pushcart Prize, Best of the Net, and the British Science Fiction Award. Berit is a member of the Norwegian Author’s Union and divides her time between Norway and the polar regions. http://beritellingsen.com. Two Dollar Radio published my novel Not Dark Yet in November 2015. Here’s an interview about the book. My collection of short stories, Beneath the Liquid Skin, was published by firthFORTH Books / Queen’s Ferry Press in 2012. In 2013, my novel The Empty City, was translated by François Bon and published in French as Une Ville Vide by PublieMonde / PublieNet. Vessel and Solsvart, my mini-collection of dark fairy tales, will be out in March 2017 and can be preordered here. My work has appeared in various literary journals and anthologies, including Smokelong Quarterly, Unstuck, Birkensnake, Litro, Up Here – The North at the Center of the World, and others. Selected published stories here. In 2012, one of my stories was nominated for the Pushcart prize and another for the British Science Fiction Award. One story was nominated for Best of the Net in 2015. I’m a member of the Norwegian Author’s Union (Den Norske Forfatterforening). 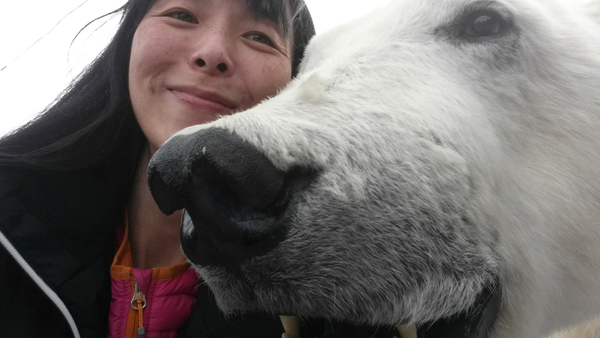 I live in Norway and write in English, and go to Svalbard in the Arctic as often as I can. I admit to pining for the fjords when abroad. More information in the interviews here. To contact, please leave a comment here or on Facebook or Twitter.